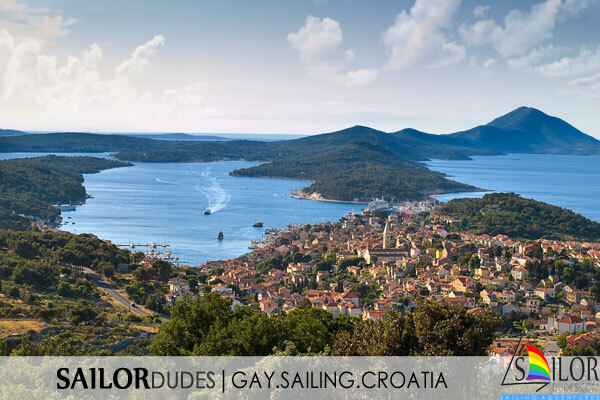 Below you can find all details of this gay sailing cruise from the Istrian peninsula, including a map of places we can visit. We do not give specific day-to-day itineraries for our trips because they will most likely change depending on the wind. In other words, we aim to visit the most interesting places and go where the wind blows. 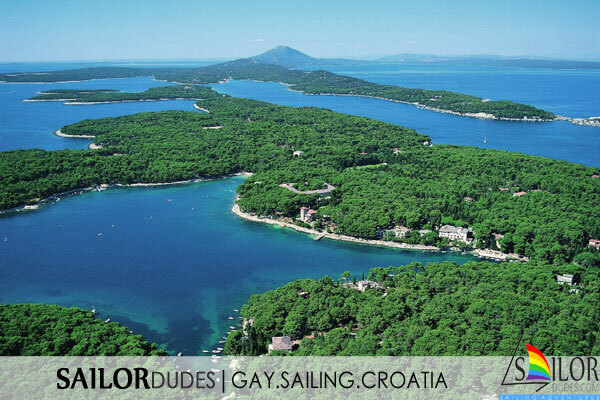 In fact, that is also why we call our sailing cruises an adventure 😉 and makes every SAILORdudes cruise unique. We do not charge any hidden booking fees. You can find more information about additional expenses on our page What to expect, including estimates for those additional expenses. 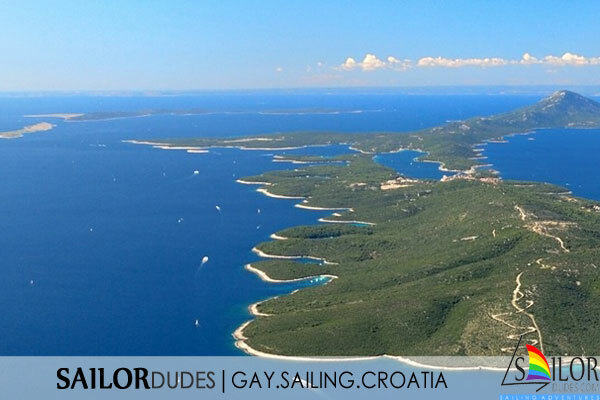 Go to the Istria sailing area page for more pictures, estimates of the average daily cruising distances and other useful information about the islands off the Istrian peninsula. From the historic town of Pula, with its smaller version of the Closseum in Rome, we start our cruise and set sail to visit the beautiful Brijuni National Park. Next, we plan to head South East to visit the various beautiful islands in this cruising area. You can expect clear waters and green islands with great bays to drop anchor. 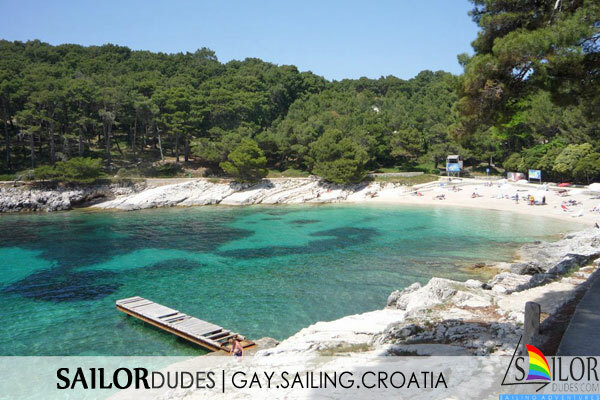 Croatia is known for its liberal attitude towards nudism so if you want to get rid of your tan lines, this is the place. Overnight there will often be the choice to stay in a village and do some sight-seeing, or drop anchor in a bay and sleep under the stars! We will have an almost new 51 feet yacht with 5 cabins (4 double and 1 bunk) that accommodates a maximum of 10 sailor dudes. Average distances per day range from 10 to 25 NM or 2 to 5 hours depending on the weather conditions. We will return to the marina at the end of the afternoon on Aug 30th.